MEMPHIS, Tenn., November 26, 2012 -The first wave of Electrolux employees moved into the new $190 million Memphis manufacturing plant today. The 50 employees will be among the first to work in the 750,000-square-foot facility that will begin manufacturing stoves and ranges in 2013. The employees include plant management, human resources, construction management and staff support. One of their first responsibilities – and one of the company’s most important efforts — will be to install equipment in the plant’s research and development center. This includes the technology and machinery to simulate a stove’s lifetime usage and performance expectations and more than 300 products can be tested at one time. The move is one of several recent company developments that have occurred as Electrolux brings its second facility to Tennessee – the company also has a facility in Springfield. Electrolux recently joined with the Delta Regional Authority and Memphis Area Association of Governments to commemorate the newly expanded and improved Paul Lowry road in front of the plant located at the Frank C. Pidgeon Industrial Park. Electrolux has also partnered with several community organizations to offer advanced opportunities for employment. Industrial Readiness Training courses at Southwest Tennessee Community College began last week, offered through the Work Investment Network (WIN) to individuals without a background in manufacturing. The courses were designed based upon Electrolux specifications and training requirements. The company has already hired 50 employees and will hire approximately 200 more between now and May 2013. Positions are currently being offered in engineering, supply chain management, finance and operations management. 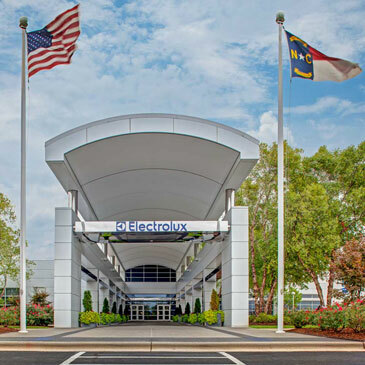 The Electrolux plant is designed to produce Electrolux®, Electrolux ICON®, and Frigidaire® built-in and specialty cooking products, including drop-in/slide-in ranges, wall ovens, and specialty freestanding ranges. The plant will eventually employ 1,200 people over the course of the next five years as it reaches full production. Electrolux is the largest manufacturer of cooking products sold in the U.S. and Canada. Electrolux is a global leader in household appliances and appliances for professional use, selling more than 40 million products to customers in more than 150 markets every year. The company focuses on innovative solutions that are thoughtfully designed, based on extensive consumer insight, to meet the real needs of consumers and professionals. Electrolux products include refrigerators, dishwashers, washing machines, cookers, air-conditioners and small appliances such as vacuum cleaners sold under esteemed brands like Electrolux, AEG, Eureka and Frigidaire. In 2011 Electrolux had sales of SEK 102 billion and 58,000 employees. For more information go to www.electrolux.com/press and www.electrolux.com/news. 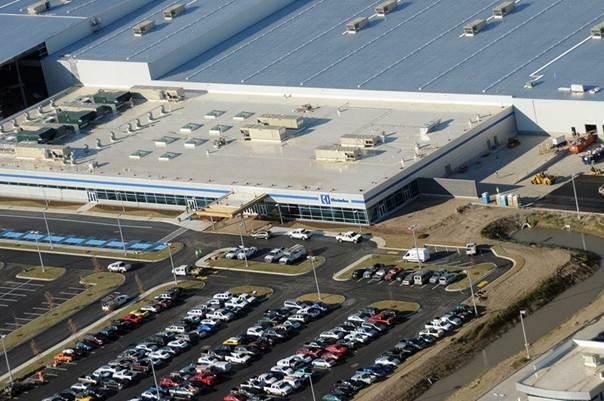 An aerial view of the Electrolux Memphis manufacturing plant (photo taken in Oct. 2012).